This report is a compilation prepared by the President of AZM, Richard D. Heideman; Chair of the AZM National Board, Francine Stein; AZM Executive Director, Herbert Block; AZM Program Director, Alicia Post; on behalf of the AZM Leadership Cabinet and AZM National Board. AZM WASHINGTON NATIONAL CONFERENCE: AZM held its Washington National Conference, November 15-16-17, 2017, Zionism Forward in the Spirit of Balfour, in partnership with the Department for Diaspora Activities of the World Zionist Organization (WZO) and the Balfour Initiative of the Israel Forever Foundation (IFF). 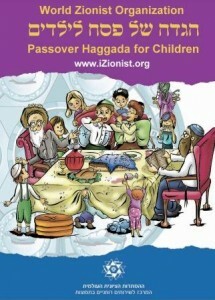 The Conference program, session and speaker videos and pictures can be seen at http://zionismforward.org. The conference took place during “Zionism Anniversaries Month” and commemorated the 100th anniversary of the Balfour Declaration and the 70th anniversary of the UN Partition Resolution, two key events in the path to the establishment of the State of Israel in 1948. The three-day AZM conference featured The Balfour Gala at the Embassy of Israel and a day on Capitol Hill with a luncheon paying tribute to Israel and its Ambassador Ron Dermer, who received the AZM Distinguished Leadership Award in the presence of Members of Congress. The AZM gathering was addressed by Ambassador Dermer, Senator James Lankford (R-OK) and Representatives Ron DeSantis (R-FL), Eliot Engel (D-NY), Trent Franks (R-AZ), Jerry Nadler (D-NY), Robert Pittinger (R-NC), Jamie Raskin (D-MD), Ed Royce (R-CA), Brad Schneider (D-IL), Joe Wilson (R-SC), and Lee Zeldin (R- NY). Video greetings were delivered by Israel’s Prime Minister Benjamin Netanyahu, Senate Democratic Leader Charles Schumer (NY), Rabbi Lord Jonathan Sacks of the United Kingdom and attorney Alan Dershowitz. Messages were also read from Vice President Mike Pence and United States Ambassador to Israel David Friedman. Other notable speakers included Baroness Ruth Deech of the UK House of Lords; British Col.(ret.) Richard Kemp; Israel Brig. Gen. (ret.) Yossi Kuperwasser; Gusti Yehoshua-Braverman of the World Zionist Organization, AZM President Richard D. Heideman and many key leaders of AZM organizations as well as thinkers and activists across the spectrum of American Jewish life. 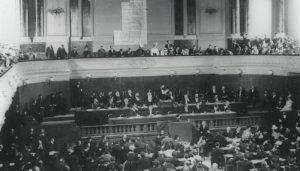 While the conference took place the US House of Representatives adopted a Resolution commemorating the Balfour Declaration. Prior to the conference Rep. Lee Zeldin inserted remarks on Balfour into the Congressional Record. AZM BIENNIAL ASSEMBLY & LEADERSHIP: At the AZM Biennial Assembly on March 5-6, 2017 in NYC, with 175 participants, new leadership for AZM was elected, including the following officers: Richard D. Heideman, President, Francine Stein, Chair of the AZM National Board; Marlene Post (VP for Fundraising Development), Paul Golomb (VP for Programs), Marilyn Wind (VP for Inter-Organizational Affairs) and Alan Silberman (VP for WZO Relations). Each is in the process of building out their portfolios, including working with various Committees that have been or are in the process of being established. AZM Executive Director, Herbert Block began in his role in March 2017, succeeding Karen Rubinstein, who was named Executive Director Emerita upon her retirement. Alicia Post was named AZM Program Director in April 2017. A video of Richard Heideman’s acceptance speech and written remarks as incoming President are available online. 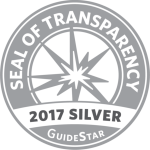 Click here for selected press links. AZM Treasurer Jim Schiller has revamped our fiscal accounting and reporting functions and prepared an initial 2018 budget draft submitted for early review by the AZM National Board at its November, 2017 meeting. AZM Secretary, Shelley Sherman, has prepared extensive minutes of all the meetings of both the AZM National Board and the AZM Leadership Cabinet. AZM LEADERSHIP CABINET: The AZM Leadership Cabinet has met March 30, May 17, June 20, July 11, September 14, October 17, and December 21 and will convene monthly in 2018. AZM PRESIDENTS & EXECUTIVE DIRECTORS: We have convened meetings of the AZM Presidents & Executive Directors of the various member/affiliate/youth organizations. This new forum, convened on June 5, July 11 and September 12, has proven valuable in exchanging ideas and in expanding the thinking on issues as we strive to address concerns of the various organizations within the spectrum of AZM. The next meeting is scheduled for January 8, 2018. AZM and WZO: AZM is working closely with the WZO on multiple activities and recently hosted Avraham Duvdevani, Chairman of the WZO as guest speaker at the AZM National Board Meeting; Yaakov Hagoel, Deputy Chairman of the WZO at the Symposium on AntiZionism = Antisemitism; Gusti Yehoshua Braverman, Chair of the Department of Diaspora Affairs of the WZO, at a special meeting of AZM Presidents, Executive Directors and Leadership; and Dr. Esther Serok, North American Represe of the WZO Executive at the Herzl in the Park program. WZO RELATIONS: Under the leadership of Alan Silberman, AZM VP for WZO Relations AZM has been actively involved in discussions on revisions to the WZO Constitution and Regulations and has presented many items to the WZO for its consideration. AZM leadership also fully and actively participated in the Zionist General Council (Vaad HaPoel) meeting in Israel at the end of October together with many from our organizations and others. Throughout the year AZM leaders and staff had numerous meetings and discussions with the WZO Chairman, Deputy Chairman, Department Heads and other officials, both in Jerusalem and in New York. COMMUNAL ORGANIZATIONAL INVOLVEMENT: AZM leadership has participated in meetings of the following organizations of which it is a member: Conference of Presidents of Major American Jewish Organizations; AIPAC National Council; National Coalition Supporting Eurasian Jewry; and, the Conference on Jewish Material Claims Against Germany. MEETINGS and OUTREACH: The new staff of AZM have been meeting individually with each of the 25 AZM constituent organizations in order to learn more about their work and how they can best be connected to programs and mission of AZM. Staff have also met with many other national Jewish and pro-Israel organizations in order to brief them about AZM and connect our activities. Staff have also developed connections with colleagues at Zionist federations in countries across the world.  AZM hopes to share resources with Zionist federations in other English-speaking nations and is working to develop an alliance with the other North American Zionist federations located in Canada and Mexico. The deadline to apply for the Spring 2018 scholarship is January 10, 2018. AMERICAN ZIONIST YOUTH COUNCIL (AZYC): This initiative, funded by WZO and operated through AZM, brings together the leadership of the Zionist youth movements and other national Jewish youth organizations in America, for coordination of activities and joint programs. Read about AZYC March 2017 Shabbaton here. An upcoming Shabbaton is planned for March 23-25, 2018 in Washington, D.C.
December 17, 2017: Shavua Tov. Give Chanukah Gelt for Zionism Today. November 28, 2017: A #GivingTuesday Thank You from AZM – Pictures, Videos and a Congressional Resolution! September 19, 2017: How Will You Celebrate Zionism in 5778? Next Next post: AZM Remembers Dr. Martin Luther King Jr.